HOLIDAY OPEN HOUSE - December 21st 1:00 to 4:00 at Service Center. CRP Continuous Signup - CRP Grassland OFFERS ONLY. Producers interested are urged to contact FSA Office. 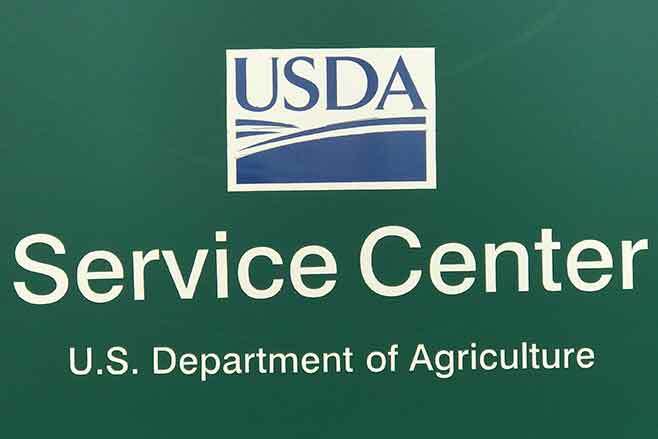 Because we do appreciate and would like to show our appreciation to those we serve, the Eads USDA Service Center will be holding a 'Producer and Customer Appreciation' Holiday Open House on Thursday, December 21st from 1:00 p.m. to 4:00 p.m. There will be refreshments and information available on numerous USDA programs. The USDA staff will be participating in a 'Christmas Ugly Sweater Contest' and those attending will be voting for the employee with the 'Ugliest Sweater'. Make plans to come and join us for the afternoon. County Committee members serve an important roles within the county to agricultural. A few responsibilities of the COC are administering FSA programs approved for the county according to procedure, set county policies within guidelines, reviewing progress and accomplishments of the county, ensure producers and the public understand programs, along with numerous other task. The official ballot count was conducted on December 5, 2018. As a result, Sean Harkness of Towner was re-elected as LAA 1 COC representative and will serve another 3 year term. Sean previously served a 3 year term and has been a great asset to the board. We welcome Sean back to the board. Due to fact there were changes in the current members, the 2018 Reorganization of the board was conducted after the ballot count. Destiny (Duff) Haase will serve as chairperson and SDA representative, Sean Harkness will serve as vice-chairperson and Michael Zimmerman will serve as regular member. In order to claim a Farm Service Agency (FSA) payment on behalf of a deceased producer, all program conditions for the payment must have been met before the applicable producer's date of death. Payments will be issued to the respective representative's name using the deceased program participant's tax identification number. Payments made to representatives are subject to offset regulations for debts owed by the deceased.